I love food and cooking but I don’t have much of a sweet tooth and am not the best baker in the world. But… there are certain times of year when you just have to roll up your sleeves and get your bake on! Christmas is definitely one of those times. In a food processor, blitz the pecans to a fine powder. Stir in the flour and baking powder and set aside. Cream the butter and sugar (I do mine in the food processor) until light and fluffy. Beat in the eggs one at a time, then stir in the honey, spices and zest. Add the pecan mixture a spoonful at a time, mixing after each addition, until it forms a dough. Divide the dough into two pieces, wrap each in cling film and chill for about 30 minutes. Preheat the oven to 180°c/160°c fan/gas 4 and line two baking sheets with baking paper. 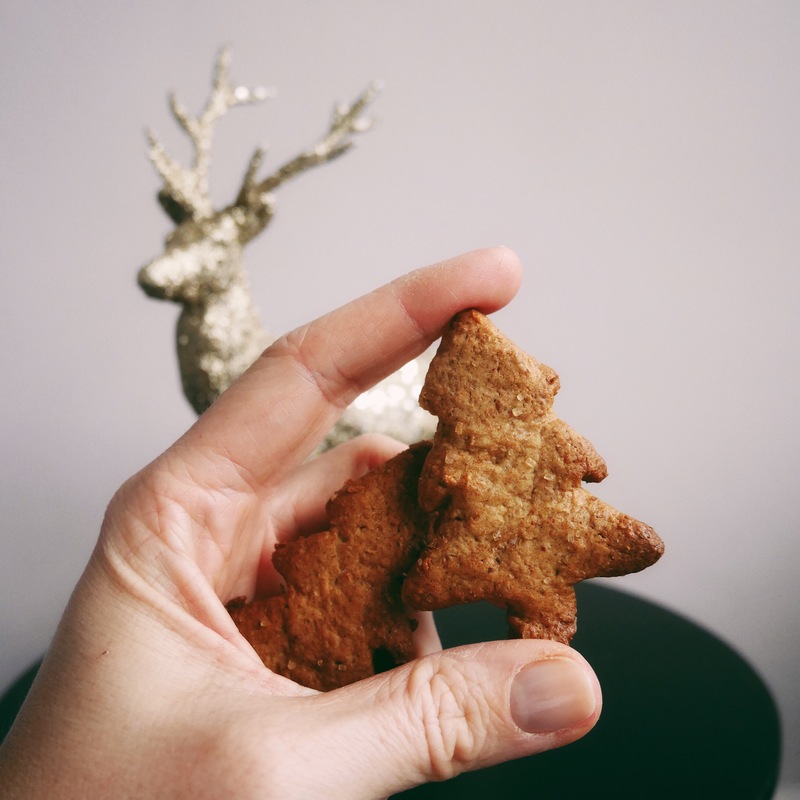 On a lightly floured surface roll out the dough to roughly 2.5cm thick and use festive biscuit cutters to cut out shapes. 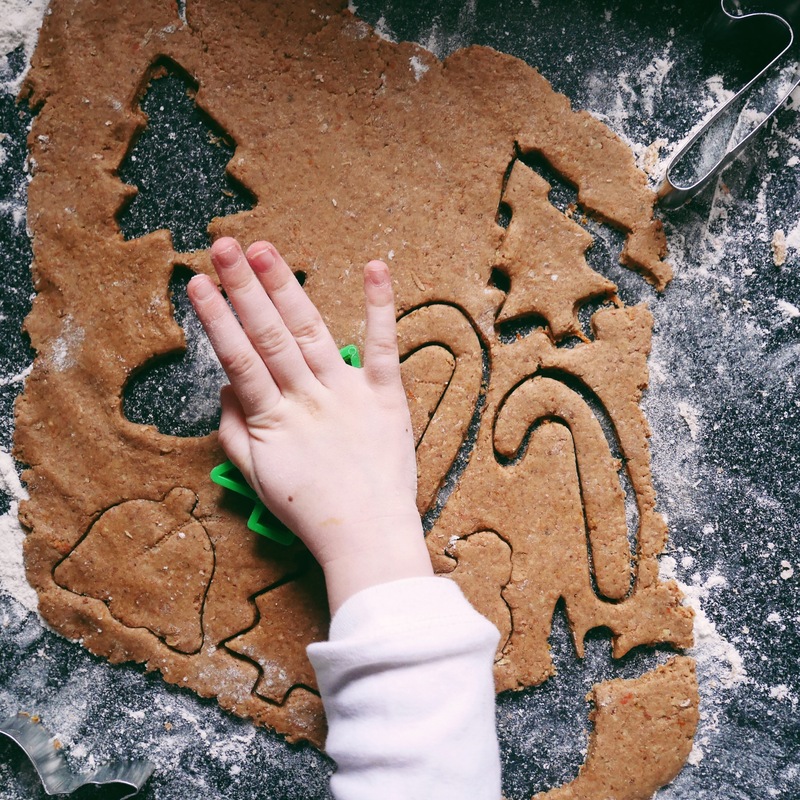 Lay the biscuits on the baking sheet (if you want to use as tree decorations, use the sharp end of a skewer to pierce a hole in the top of each shape). Sprinkle with demerara sugar and bake in the oven for around 10 minutes. Thread the cooled biscuits with ribbon (if using). These will last for 1-2 weeks. Makes around 40 biscuits (depending on the size of your cutters).